Quality entry-level coilover ! 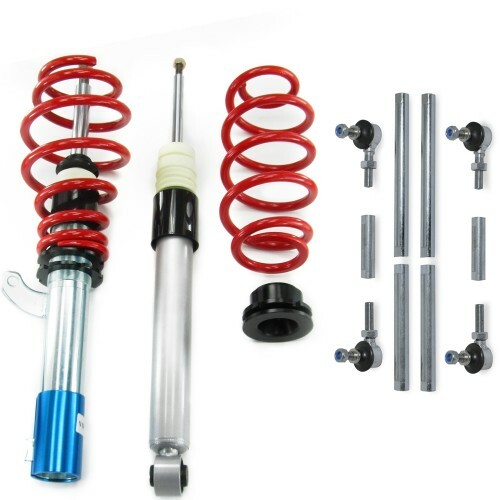 Vehicle specific designed coilover kit with safe, sporty and comfortable road holding. RedLine coilover kits are a complete solution for every car, which brings the perfect balance between sportiness and road capability. Height adjustment performed in built-in-state and gives your car an individual body lowering. The kits have a huge transverse force absorption for more stability in every turn of the road.